If you’re in Connecticut and your child has cerebral palsy (CP), you’re likely overwhelmed by all of the treatment options available to you. Your pediatrician or other specialist may recommend physical therapy for your child, or you may be interested in therapies after doing your own research. Keep reading to learn more about treatment for CP and how Cheshire Fitness Zone can help. Cerebral palsy is a movement disorder that usually manifests early in childhood with symptoms such as poor coordination, muscle weakness, muscle stiffness, seizures, tremors, and sometimes intellectual disability. Every child’s symptoms are different, and while root causes are unknown, symptoms are traced to abnormal brain development or damage. Cerebral palsy is incurable. However, impairment can be managed and symptoms mitigated with medical care and treatment. Since cerebral palsy manifests itself in so many different ways, there are numerous treatment options available depending on details and severity of each child’s unique condition. Some treatments involve drug therapy, while others may involve more invasive surgical interventions. Multiple treatments are often used to complement one another to get the best results for the patient. In any case, treatment for cerebral palsy is typically aimed at optimizing mobility, independence, and long-term quality of life. Two common treatments, and those that are a specialty of Cheshire Fitness Zone in Connecticut, are physical therapy and occupational therapy. According to CerebralPalsy.org, physical therapy (PT) “is considered one of the most important aspects of treating children” with CP. Physical therapists treating children with cerebral palsy work with their patients to improve upon specific limitations through custom motion programs and exercises. Strength, coordination, balance, and flexibility are all primary goals with PT. Physical therapists may also work with families to find adapting equipment like wheelchairs and standers. An “integral part of a Cerebral Palsy patient’s overall treatment program” according to CerebralPalsy.org, occupational therapy (OT) is a branch of physical therapy dedicated to the performance of the activities (or “occupations”) of daily life. At Cheshire Fitness Zone, we believe that a child’s primary occupation is play. 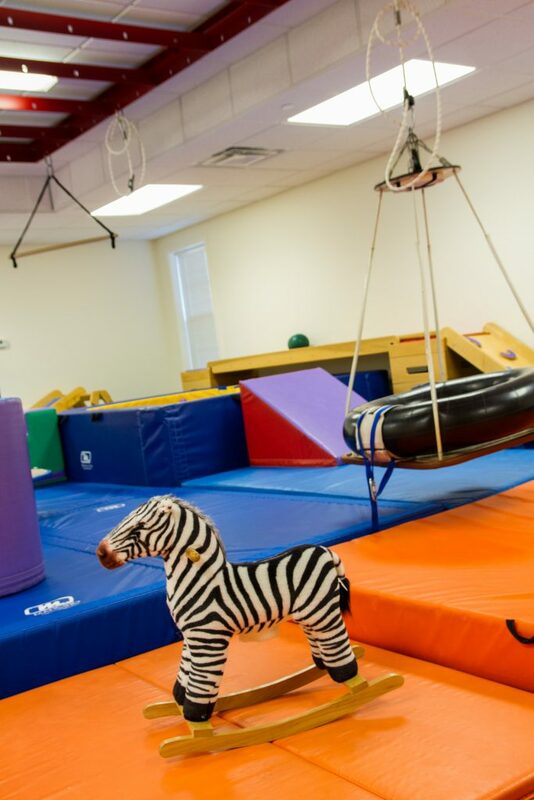 Our occupation therapy process follows each child’s lead to create adaptive responses that address motor development, coordination, core strength, perception, and more. Aquatic therapy is a form of PT that uses water immersion to reduce the impact of exercise while increasing resistance and allowing for a full range of motion. Aquatic therapy is an ideal treatment for many children with CP, and may be used to improve flexibility, overall strength, develop physical control, increase physical confidence, and more. If you’d like to learn more about therapy options in Connecticut for children with CP, get in touch today with the team at Cheshire Fitness Zone. Located in Cheshire and Meriden, Cheshire Fitness Zone offers a variety of therapies custom-tailored to the needs of every child who comes in. In addition to physical therapy and occupational therapy, Cheshire Fitness Zone can also provide speech and feeding therapy services.